It's tournament time again! 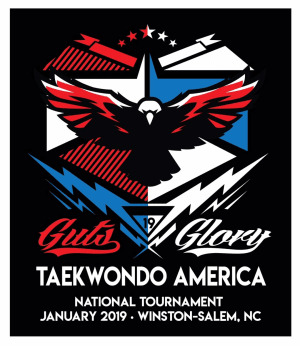 The 2019 January National tournament is going to be held in Winston-Salem, NC on January 25 & 26. This is an excellent opportunity to experience the excitement of a national tournament right in your own region. This event promises to be especially exciting because the Raleigh Demo team will be competing this year and we have 14 high ranking students testing from the Raleigh and Morrisville schools! Competition is open to all ages and ranks from Little Dragon all the way to 5th Degree Black Belt. In order to prepare for the tournament, there will be two days dedicated to tournament preparation. For more information, click on the links that correspond to your location.